Save money, energy and the planet all at the same time with the revolutionary Turbo Logic Radiator Booster. This upgrade from the original innovation has been further developed to have automatic thermostat control, activating its fan system at approximately 32 degrees (meaning you don't need to worry about turning it on or off). It is now manufactured with only one (more powerful) fan to achieve quieter and cheaper running. Intelligent electronic control and LED status indicator, the Turbo Logic Radiator Booster tells you what it's doing, signalling a red LED to confirm that mains power is present, a green LED to indicate that the radiator temperature has been reached and the fan is active, and a flashing green LED to indicate that the radiator is cooling down. How does the Radiator Booster work? By taking the normally wasted warm air from behind a radiator, and circulating it around the room, the Radiator Booster helps to heat your home more quickly, reducing the length of time your boiler is in operation. The Radiator Booster is simple to operate and no installation – use it straight out of the box. 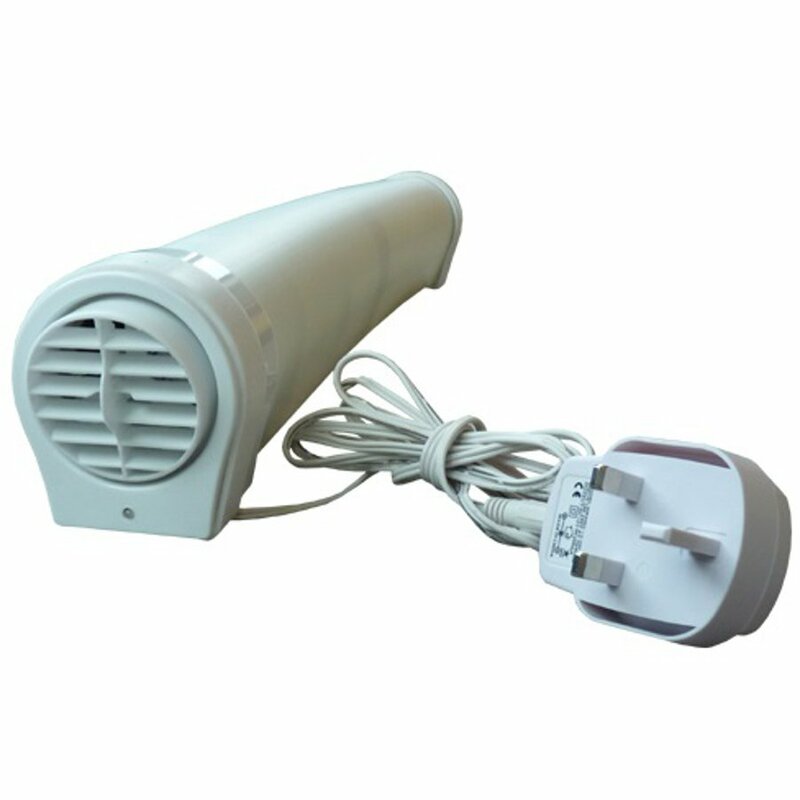 Simply position the unit on top of your radiator, and plug the power supply into a nearby socket. The internal fans draw the air up from behind the radiator, and quickly circulate it around the room. Reduces room thermostat by 1 to 3 degrees Celsius. 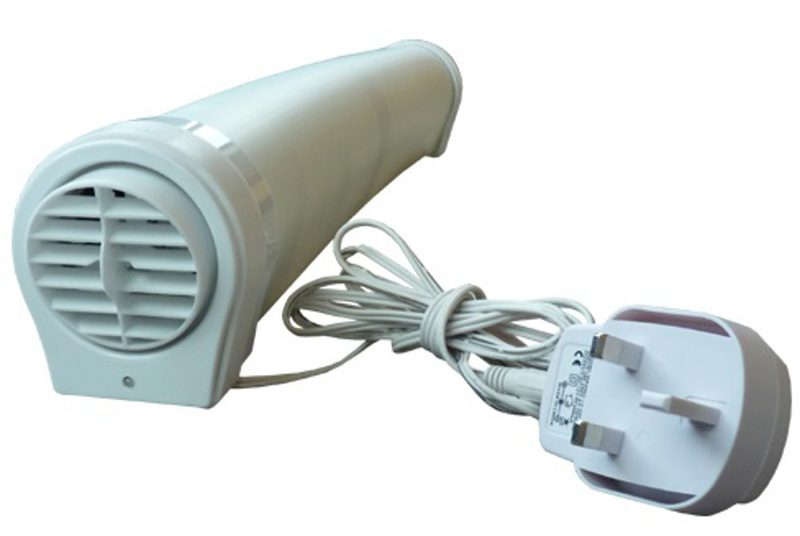 The Radiator Booster comes with a 1.8 meter power lead. If this isn’t long enough, the Turbo Logic Radiator Booster meter Extension Cable is also available. What does the Radiator Booster actually save? The running costs of the Radiator Booster are as little as 30p per annum, saving the average household approximately £140 per year in heating costs. The savings soon add-up, ensuring that the Turbo Logic Radiator Booster more than pays for itself in no time. The Turbo Logic Radiator Booster product ethics are indicated below. To learn more about these product ethics and to see related products, follow the links below. I've explained this all in the first part - a preview of the review requirements would be good before I start!! I use this in the kitchen to direct heat into the kitchen as the radiator is situated behind the door, so it is great that I can direct the heat from the fan. Shame it doesn't extend to cover the whole radiator, and the end pieces prevent it being clipped closer over the top of the radiato. However it does the job I wanted. Others have said they find the fan noise intrusive, but at least one knows its working, and doesn't bother me. Fan is a bit noisy, but seems to work well. Using it means my chilly living room is warmer and I can reduce the thermostat by two degrees. Q: I have just bought this product and have a question about the fan inside which stops itself after a few minutes and then restarts up again. Once the radiator is hot and the radiator booster is on, should the fan be on constantly or is it meant to stop and start intermittently?rnMany Thanks for your help. A: Hi, this is the answer to a similar question on the Radiator Booster's website: "Yes, this is often quite normal, and should cause no concern. Radiators are set to reach different ‘high’ temperatures. Those set lower will experience this frequent on/off cycle. The ‘lower-level’ heat gently warms the thermostatic switch in the device, but as soon as the fan starts up, this heat is dissipated quickly by the fan, cooler air is drawn up, and this activates the thermal switch to turn off the device. However, the device still remains very effective in operation, drawing as much heat from the radiator as it possibly can." I hope this helps. Robyn. 17 out of 17 found this question and answer helpful. Q: I am thinking about buying this product, but does every radiator in my home need a booster? A: Hi there, this radiator booster will only work for one radiator, therefore only boosting the heat in one room. The manufacturers recommend using radiator boosters on all radiators (except those in humid and damp environments, such as a bathroom), however the booster is easy to unplug and transfer to another radiator if need be. I hope this helps. Robyn. Radiator Booster™ products are designed to help you to cut your heating bills by up to 10%, keeping you warm but also saving you money whilst you go green, reduce your carbon footprint and make your home more environmentally friendly .